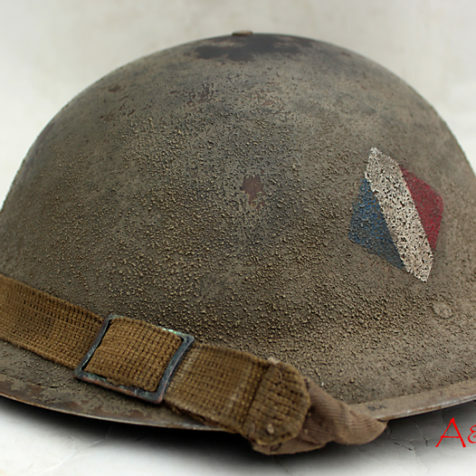 South African Mark I restored to look like it might have seen service with a Free French unit in North Africa. 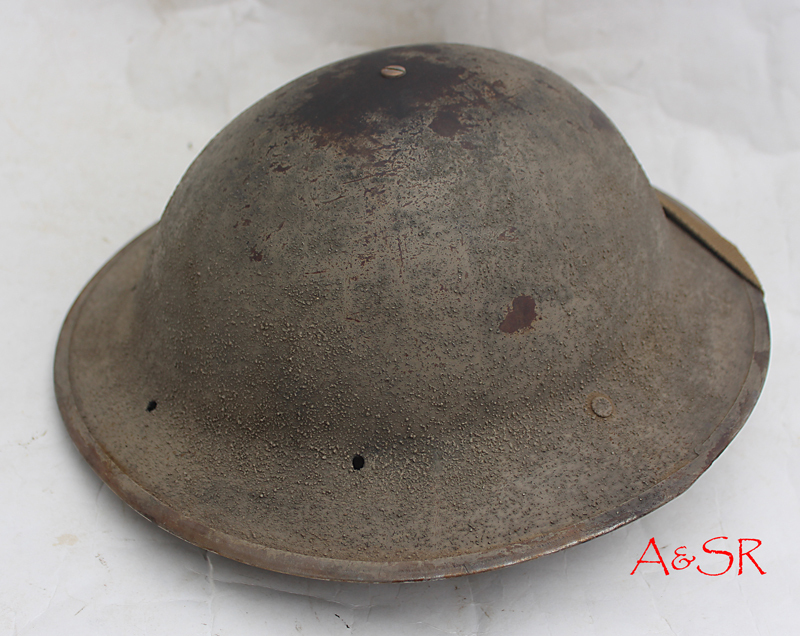 The helmet was totally stripped of post-war paint then repainted textured with the correct shade of South African desert tan. 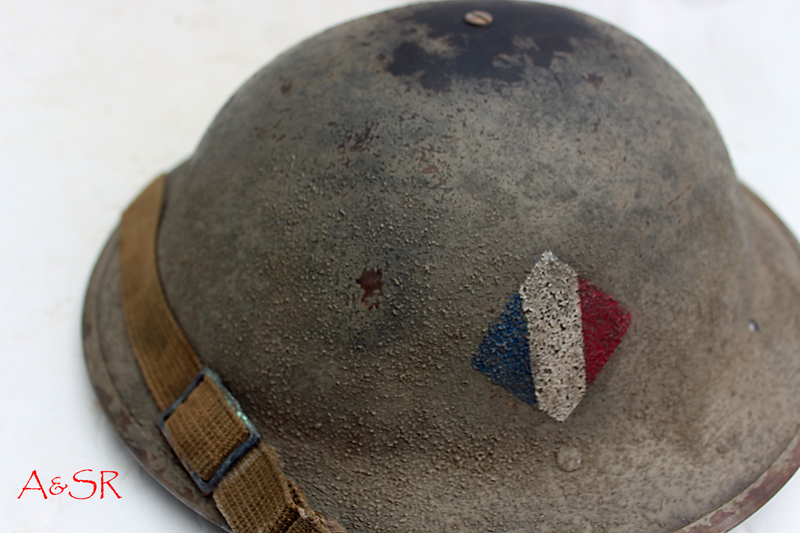 The French tri-colors was hand rendered as all originals were. 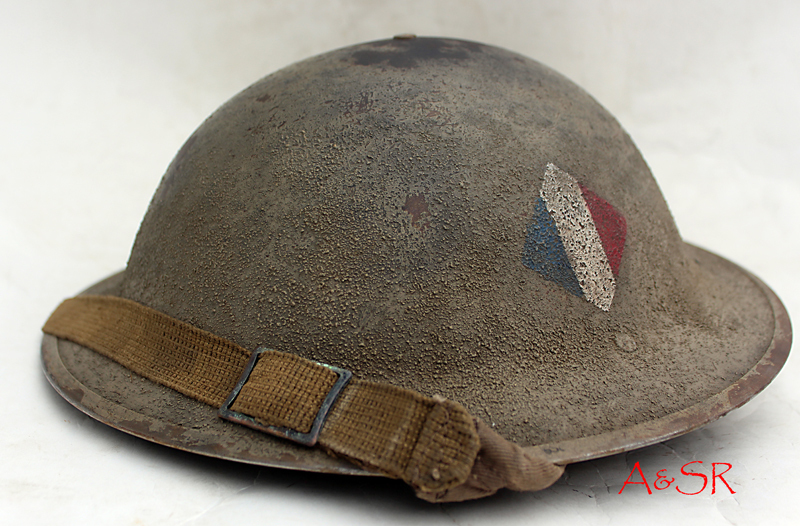 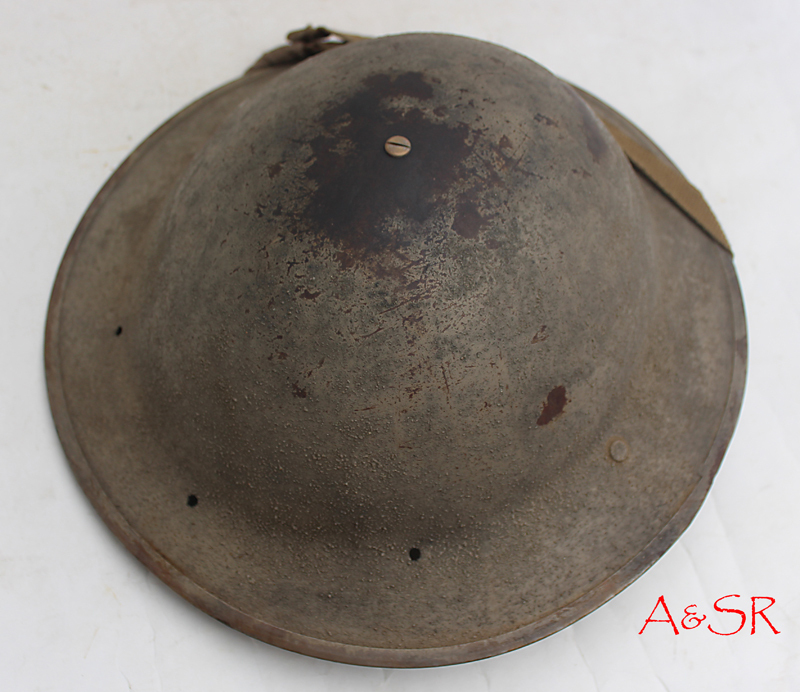 The helmet has been heavily aged to reflect not just battle wear, but also the conditions of North Africa.